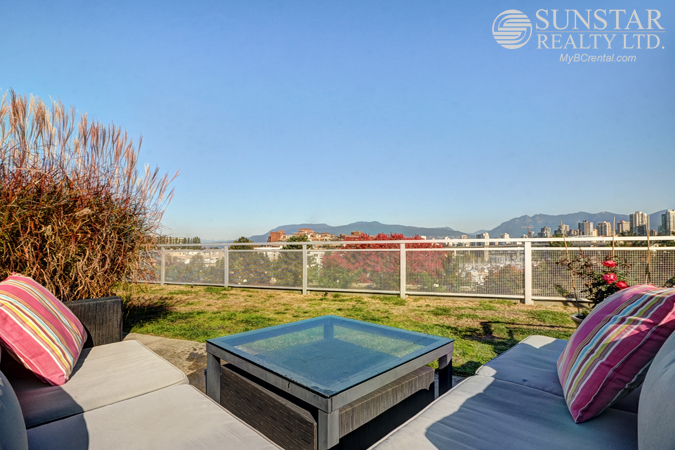 Granville Island Penthouse Loft w/ Rooftop Deck @ The Waterfall - $3990 — Lynn Swanson At a glance guide to all currently available fully furnished properties managed or represented by Sunstar Realty Ltd. LOCATION: Adjacent to one of the world's most successful urban market districts - Granville Island is where you will find a diverse selection of gourmet food shopping, fabulous restaurants, live theatres, The Emily Carr School of Art and Design and proximity to many artisan workshops and galleries. 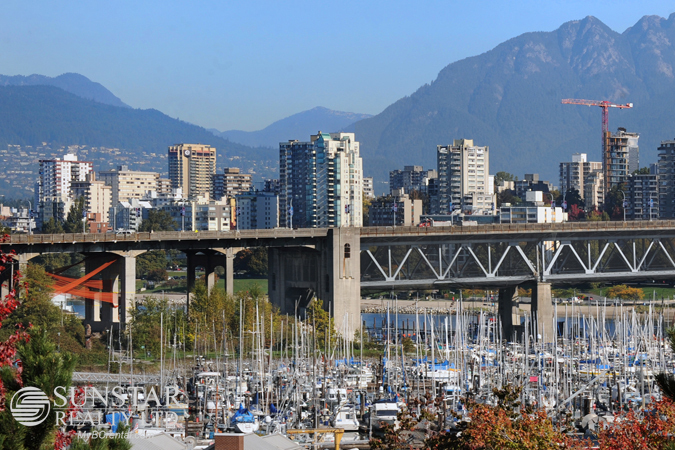 The Seawall is two blocks away which takes you to Kitsilano or all the way to Downtown Vancouver around the perimeter of False Creek waterfront. Buzzing Kitsilano shopping and dining corridors on W.4th Avenue and W. Broadway are just minutes away. Whether you walk, ride a bike, take public transport or drive, the central location gives easy access to all areas of the city. BUILDING: The Waterfall Building is located in the False Creek South neighborhood at 1540 West 2nd Avenue. 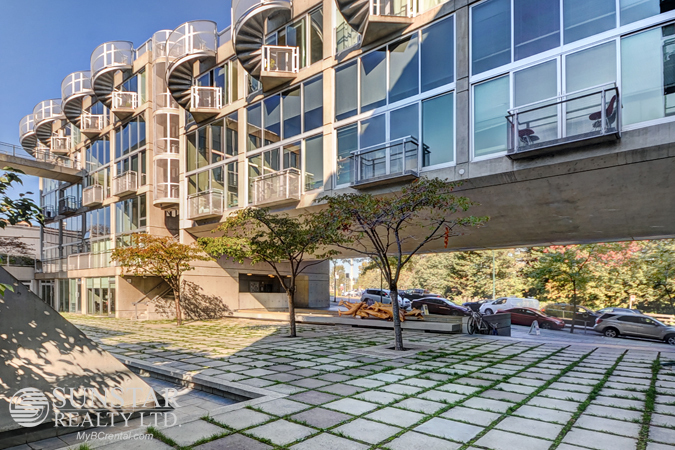 This is an architectural masterpiece designed by Arthur Erickson, world-wide renowned Canadian architect. 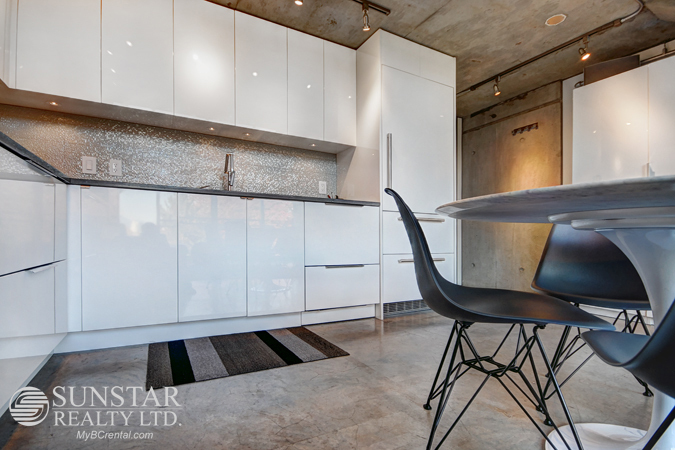 The building is a one of a kind live/work loft development and is among the most unique and sought after in Vancouver. The building frames a beautifully proportioned courtyard and gallery which provides a strong sense of community and privacy while featuring the signature waterfall at the main entry on W. 2nd Avenue. This building is located adjacent to the entrance of Granville Island. 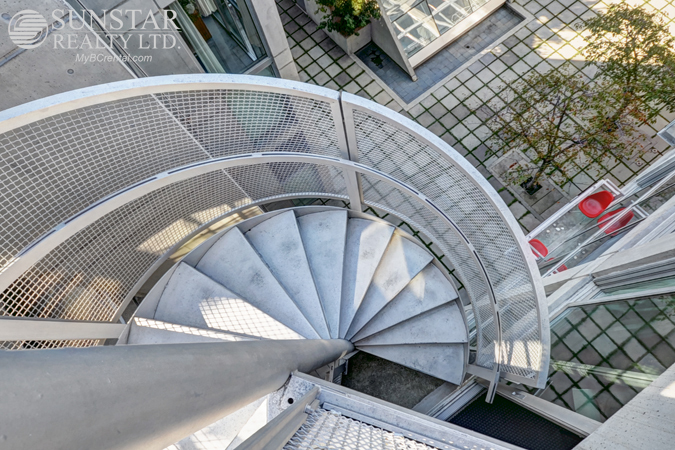 It contains 41 live/work and commercial suites with exquisitely detailed concrete, steel, and glass construction. FEATURES: Suite 509 is a customized two story penthouse loft, classically modern, fully furnished, 970sf, with concrete floors and a 700sf private roof terrace with 360 degree view of the city. The new kitchen is custom built, with integrated Liebherr fridge, Bosch appliances, Fisher Paykel dishwasher drawers, and stone surfaces. 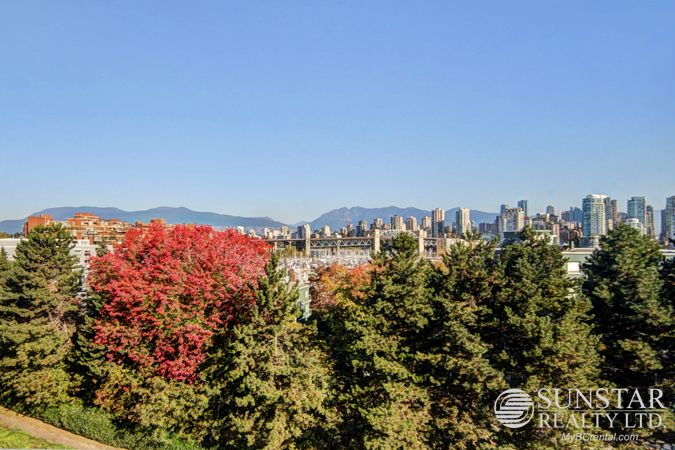 Adjacent living room is stylish, and benefits from the double height floor to ceiling glass windows and sliding doors which offer a gorgeous view of Downtown skyline, North Shore mountains, False Creek and Burrard Street Bridge. The sliding doors in the living room open to the north to a Juliet balcony and in the upstairs master bedroom, to the south to the outdoor spiral stairs, allowing for generous N/S cross ventilation. 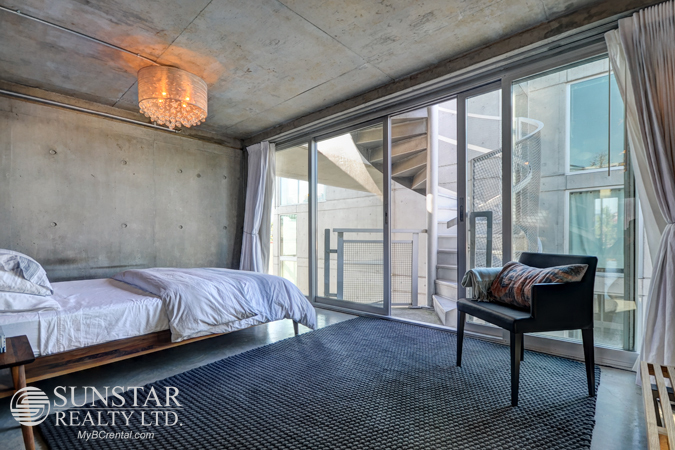 The interior suspended concrete stairs lead you to a cozy mezzanine furnished with comfortable seating, flatscreen TV and wonderful views to the north. A powder room is conveniently located adjacent to the Mezzanine on the 2nd floor. The master bedroom has a full floor to ceiling window wall with sliding door access to the roof terrace and spiral stair. Adjacent walk-in closet provides generous hanging and drawer space with well-positioned washer and dryer. The customized master bathroom has large shower/tub, hinged glass water screen, with hand-held and rain-shower options. The roof terrace is fully furnished with comfortable seating, dining table (for 6) and large Weber BBQ with gas connection. Lush landscape plantings provide generous privacy and seasonal interest with the breathtaking views.